Revision sinus surgery is an option for patients who suffer with chronic or recurrent sinusitis. Sinusitis is an infection of the sinuses with many bothersome symptoms, such as facial pain, nasal stuffiness, nasal discharge, loss of smell, fatigue, and fever. Severe cases of sinusitis can drastically affect a person’s quality of life. If the patient is not responding well to antibiotics or other medication treatments, then they may want to consider surgery to alleviate the condition. There are a few surgical treatment options for those who suffer from chronic or recurrent sinusitis. Balloon sinuplasty is a minimally invasive surgery that has proven to be safe and effective. Very small, flexible tools are used for this procedure and no tissue or bone is removed. This means that there is a significantly reduced amount of bleeding and a short recovery time. Most patients are able to return to normal activities after just 24 hours. In some cases where the cause of chronic sinusitis physically changes structures in the nose, endoscopic sinus surgery may be another option to consider. Some causes for sinusitis, like polyps, can actually affect the structure of the nose. 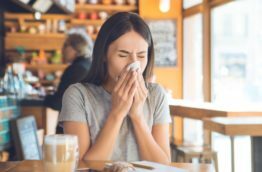 If you are suffering with chronic or recurrent sinusitis and do not find relief in medications or other non-surgical treatments, it is best to speak with an ENT professional about surgical options that can help bring back higher quality of life.